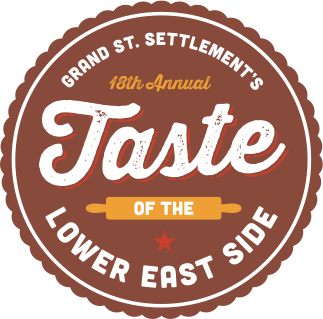 Our Events - Grand St. Settlement | Bold. Grand. Inspired. Grand St. Settlement is a busy place. Every day is eventful, whether it holds a field trip, health fair a fundraiser. See our Events Calendar for free events the whole family can enjoy and read on to learn about some of our favorite gatherings. What began as a grassroots effort led by a cadre of our young volunteer mentors has become Grand St. Settlement’s signature community event. When the Lower East Side was just starting its meteoric rise to culinary infamy, we brought together the community’s best talent, the city’s leading businesses, and our own outstanding supporters to eat well and give back. The event has grown to fully fund Juniors Undertaking Manhattan’s Possibilities (JUMP! ), our program started by the same founding volunteers, and support the continuum of vital services and programs that Grand St. Settlement provides for 10,000 New Yorkers of all ages. Over 17 years, TLES has brought together over 175 restaurants, 20,000 people, hundreds of volunteers, and raised over $5 million to support low-income New Yorkers. Join us and celebrate the warmth that brings everyone to the table.